The seasons are about to change and I could not be more excited about Fall arriving! This is the perfect time to have an apple unit study with your kiddos! 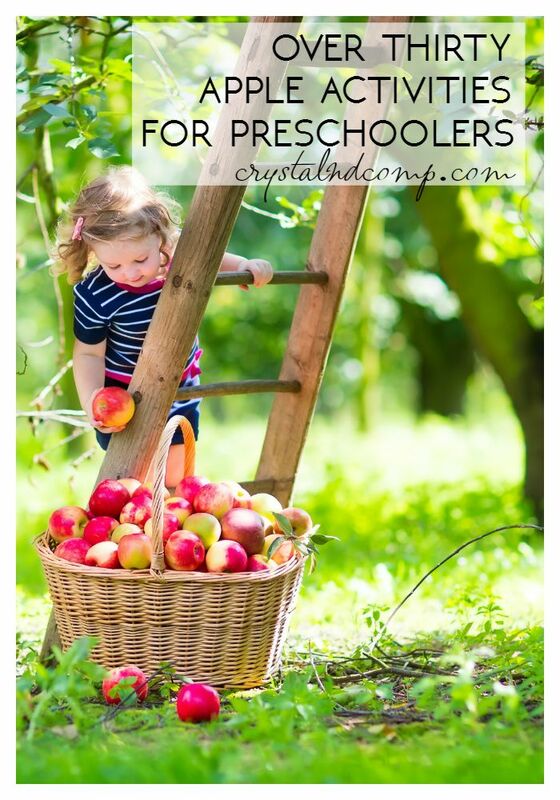 Here is a collection of more than 30 apple preschool activities you can do together if you homeschool, or if you’re doing preschool at home or if you just want to do some extra supplementing at home. These are ideas that are from bloggers all over the internet and activities they are actually doing with their children. Kids love these! 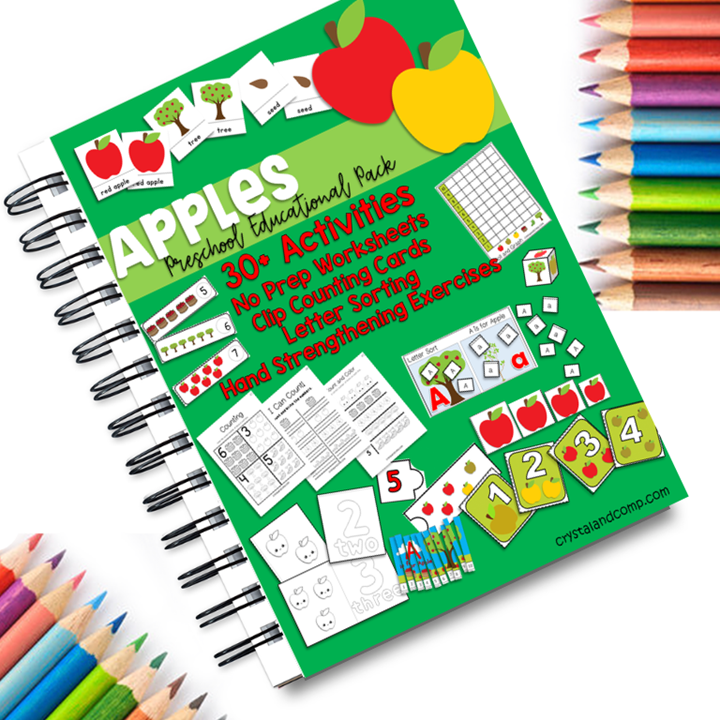 Apple Lollipop by Crystal & Co.
Johnny Appleseed Color Pages with Handwriting Practice by Crystal & Co.
What are your favorite activities to do with your kids when you’re learning together at home? Our apples preschool educational pack is full of 30 super fun activities that are perfect for moms doing preschool at home with their young learner. The pack includes no prep worksheets, counting cards, letter sorting, easy math and number skills as well as hand strengthening exercises. It’s an INSTANT DOWNLOAD so you can start using it right away. Even though my son is in kindergarten and not in home school I will still do most of the crafts with him as we can do them during the summer and holidays to keep him learning throughout those days. So I would like to say thank you for linking up to the Bloggers Weekly Pinterest Party and I look forward to visiting again soon. I am sharing this with my sister. She’s gonna love it . Thank you for sharing it. Also, Thanks for linking up to the Bloggers Brags Pinterest Party. I have pinned your post to the Bloggers Brags Pinterest Board. My daughter will love these! I featuring this post and 4 other preschool ones on my Bloggers Brags Pinterest Party post on Monday. Thanks for linking up! This is such a great round-up of apple activities! 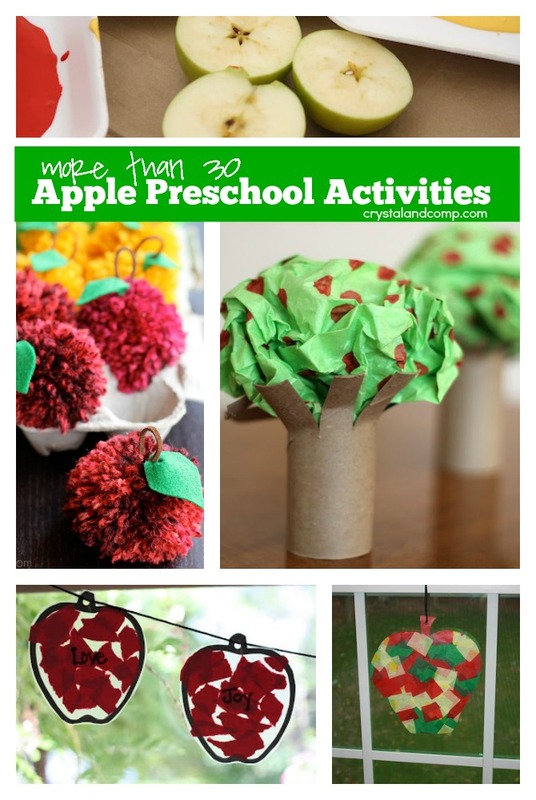 I love this time of year, mainly for all of the fun apple activities and crafts I can do with my kids! This is an amazing list! Great having such fun activities listed all in one place. Thanks for including our Apple Sun Catcher craft! I usually begin apple activities with my preschoolers in September. These ideas will certainly come in handy then. It will be here before we know it!